1. San Francisco 49ers: They showed us once again why they are the team to beat in the NFC, with a 32-7 drubbing of the Chicago Bears. Rookie quarterback Colin Kaepernick had an amazing game, and has made Harbaugh’s life just a little more difficult as he now has to decide who he starts going forward. As good as Kaepernick was, Aldon Smith was even better. If he can continue his dominance on either side of the line, opposing quarterbacks watch out. 2. Seattle Seahawks: Coming off the bye Pete Carroll’s squad has itself a tough road test in the Miami Dolphins, and I think they’ll be more than ready. The Seahawks have been dominant of late, and if they can continue to impose their will on opposing teams expect this final stretch of games to cement their status as the 6 seed in the NFC. 3. St. Louis Rams: As upset as I am with this team for not pulling out the W, against the lowly Jets, I can’t justify giving the Cards a boost to the third spot. Bradford is going to have to start showing some consistency at some point in his career to justify the number one pick they used on him in the draft - or better yet giving up a chance to land RG3. 4. 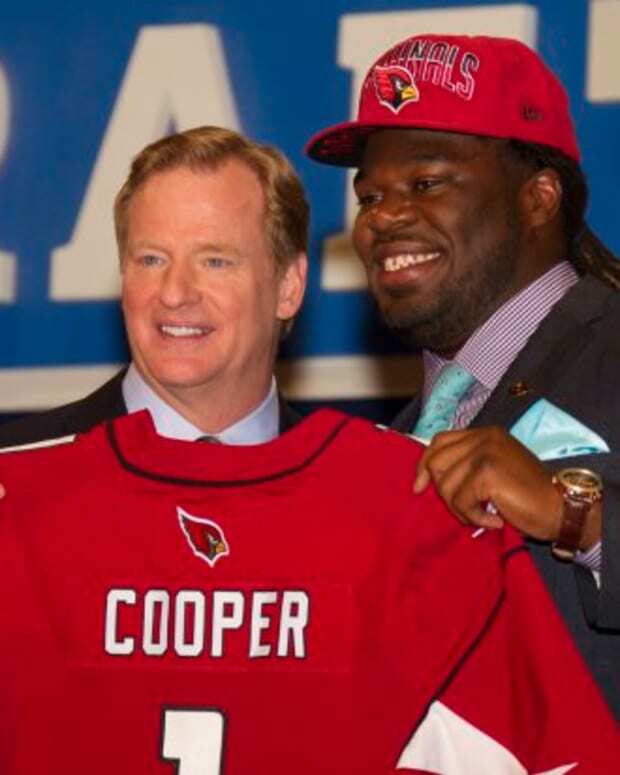 Arizona Cardinals: Must be exasperating to be an Arizona Cardinals defender. Week in and week out you give your offense amazing field position, cause turnovers, wreak havoc, and nothing comes of it. This week they forced 6 turnovers, and their offense STILL couldn’t put up the points necessary to win this game. Good news is, if the Cardinals stick with Lindley it certainly can’t get worse.